When I saw this pair of sunnies on Firmoo's website, I immediately knew that I would be taking them with me to the beach. 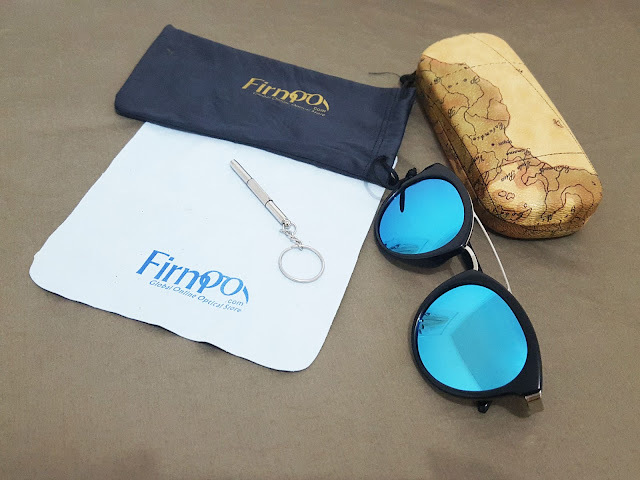 Firmoo is a global online optical store with a great selection of prescription and non-prescription glasses and they've got an awesome range of sunglasses as well. 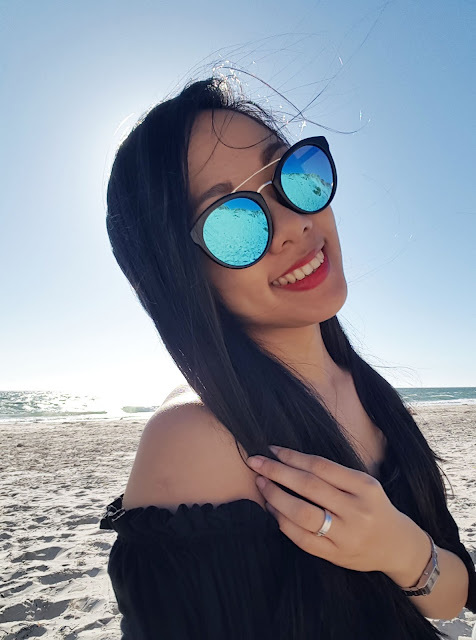 Personally, I was lusting after their aviator sunglasses so imagine how excited I was when I received my sunnies here in Australia only 1 week after I placed my order (fast shipping!). To be honest, I didn't expect much from a pair of sunglasses that was priced at an affordable $19 but I was quite impressed with them. The package consisted of my sunnies, a lens cleaning wipe, a hard case, a pouch and a key chain that was actually what looked like a tiny screw driver. The hard case was a bit uneven and I don't know if that was because of handling during shipping or not, but they protected my sunnies and they arrived safe and sound. 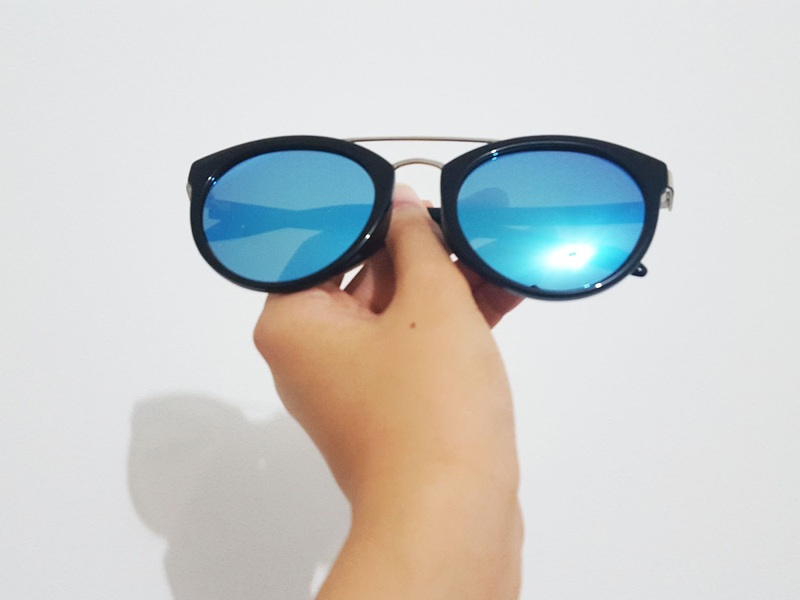 Further, when going out, I forgot to bring the pouch or hard case and left my sunnies unprotected in my bag. But there was no need to worry, the sunnies remained perfectly unscathed despite that. Quality wise, I'd say that they're awesome considering how affordable they are. 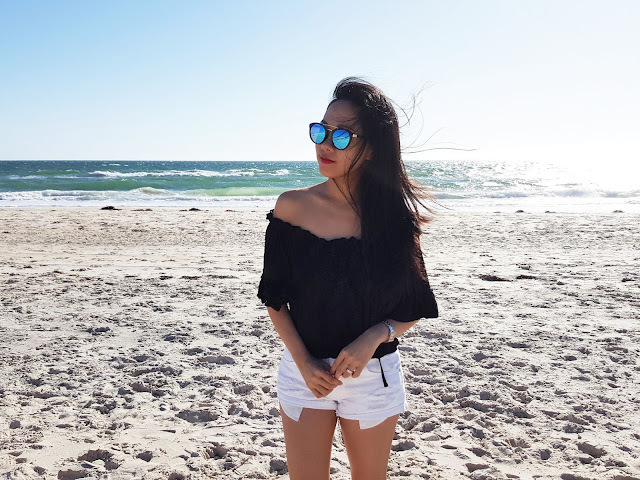 If you're not ready to splurge on high-end or designer sunglasses but want a more durable and much prettier pair compared to generic sunnies you find in mainstream fashion/retail chains, these are a great alternative. Great value for your money! As you can probably tell by the unusually large number of photos in one post, I was having way too much fun with my sunnies. You can check out this pair in the link below and even get 15% off on your first pair! I'm surely going to make the most out of summer's last few weeks and taking these sunnies around with me to protect my eyes. Off to the beach I go! Cool shades firmoo is a great brand. That's a lovely sunnies! I want one too! I'll check it. Summer is nearing here in the Philippines. Those sunnies are so cool! I love it! You look great!! Nice shades! these look super babes. love the ice blue colour. Love the sunglasses, perfect for summer!! This is awesome dear! I love how cool and sleek it looks! These sunnies look so good! I really love this style with the double bar across the top. They look awesome on you. the glasses are amazing ! you are pretty. It is snowing here at the moment, I get so jealous when I look at your pictures! love the look! that off shoulder top is so pretty! Such amazing shades! You are right! 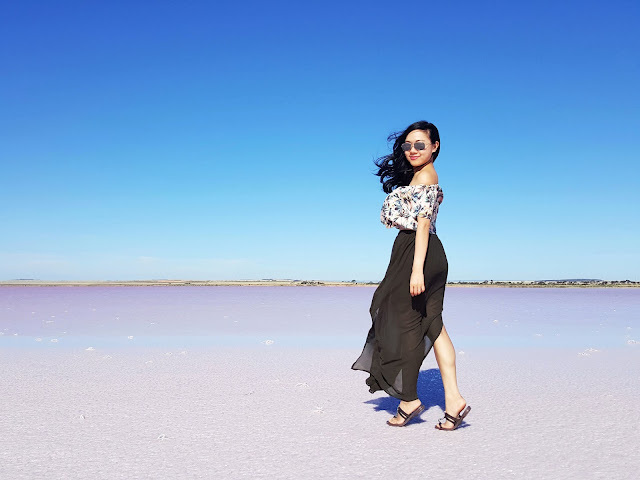 I'm loving how Firmoo sunnies compliment your overall look! Those sunglasses are gorgeous! I have a pair of firmoo glasses that I really like. I need to check out their sunglasses next! I love your off should top ! So trendy. So cute! Gotta snag me a pair! Oh wow, the colour of the turquoise reflection in the shade is beyond amazing - what stunning weather you're having over there!! Those sunnies are so beautiful and fun! I love it, especially for summer. Those are gorgeous!! I feel like I'm always on the hunt for new sunglasses and these look perfect. I've heard so much about Firmoo, gotta check it out haha! 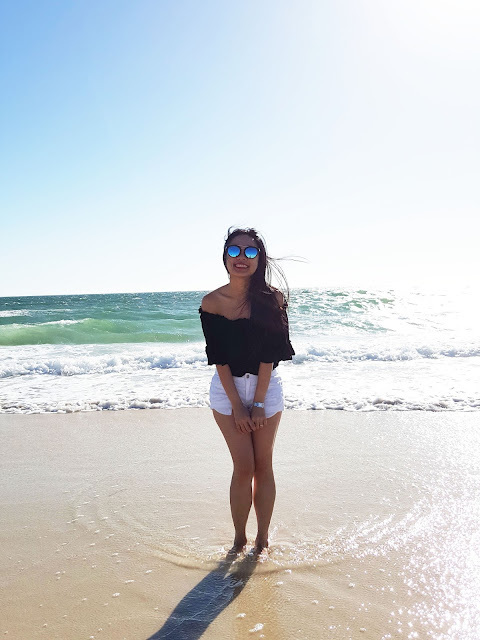 Lovin' your pictures and sunglasses! I'll have to check out that website. These photos are beautiful! I love, love, love the sunglasses! These are some really great photos...makes me want to head straight to the beach! I love your sunnies, they are super cool. Great sunglasses ! Love the design too..
That's the perfect beach outfit! love the top and the sunnies! those sunnies are really great and they match your style. love the black and white combination! I picked quite a similar pair, hehe! 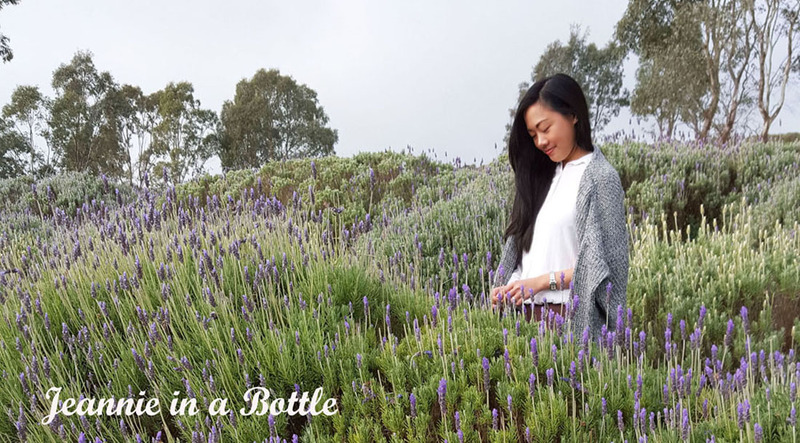 They look most definitely amazing on you dear, thank you for sharing! The setting of these photos is just wonderful, and you look stunning from head to toe! Those glasses look so cute on you! I love the blue lens. And that off shoulder top is gorgeous! The sunnies look so cool! You got the perfect frames for you. You are so pretty! 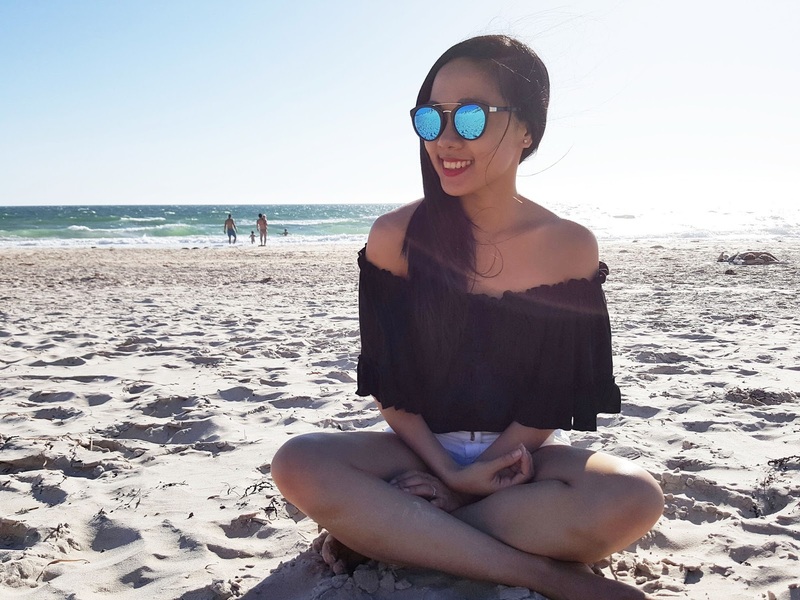 I love these sunnies on you and cute outfit! Regular monitoring your activities is important to enable any last minute adjustments. Learn from your analytic tools and other insights from your sites. Plus the user experience matters the most here. Look for it too.